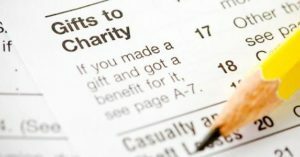 I’m sure most of you are aware of this year’s tax law changes which will affect charitable giving. I’m not going to pretend that I understand all the details surrounding this change, although I have researched it. Personally, I donate to organizations because I believe in what they stand for and what they accomplish. Sure, the tax benefit is a bonus…but the break on my taxes isn’t why I give. Some people have asked if overall charitable giving might be reduced because of the new laws. It’s a valid question, but I choose to focus on the status of charity. Do you see the difference? Charitable giving is a thing – money, clothing, furniture or any other thing that can be donated. Charity is an action; it’s at the heart of why we give. 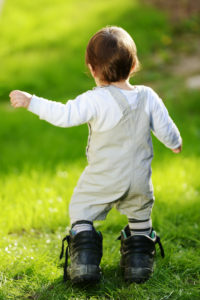 You love with your charitable gifts, which in turn, enable us to practice charity through our pregnancy help work; both extended by the charity God has given us first. Charity is described by the president of Heartbeat International as love in action. That is precisely what Jesus did for us; He didn’t just say He loves us – He lived and died to show how much He loves us. You are proof that charity has not been reduced in our part of the country, and I want to thank you for being motivated by the mission of Life Options as you consider why you give. Thank you for putting your love into action! Life Options is a Christ-centered ministry upholding the sanctity of human life, and helping clients find direction and dignity by caring for their practical, emotional and spiritual needs through nurture and biblically based counseling. As the premier life resource center in the Lower Yakima Valley, we are determined to impact our culture by: affirming at all stages, the amazing value of human life; proactively seeking to help men & women who are abortion vulnerable; empowering people to live in wholeness; offering hope and healing for each client’s past, present and future; and by providing effective, relevant supportive opportunities and services to all of our clients.